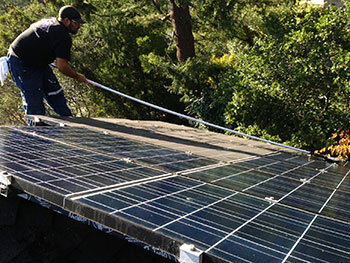 • We will clean your solar panels for improved efficiency. 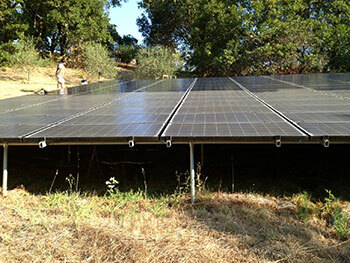 Clean panels will provide more electricity for you! • Clean the leaves off your roof! 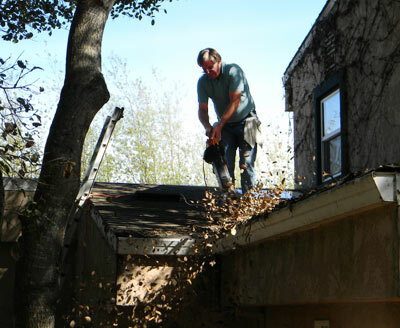 Clean your gutters to prevent roof leaks. 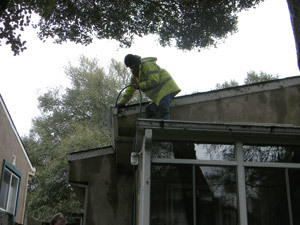 • And we clean up after cleaning your gutters too! • New construction - we clean the windows for your brand new buildings after construction for an extra charge! 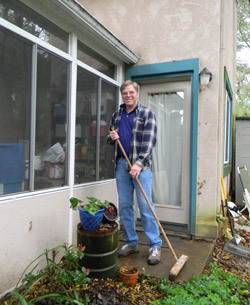 Squeegeemaster founder in action washing windows! 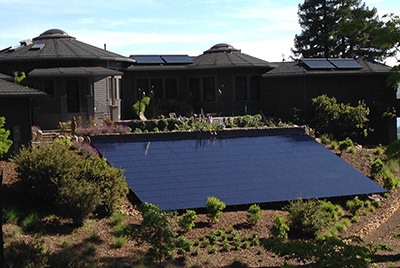 Window cleaning in Sonoma County, Santa Rosa, Sonoma, Sebastopol, Petaluma, Rohnert Park, Cloverdale, Windsor, Healdsburg, Marin County, Novato. 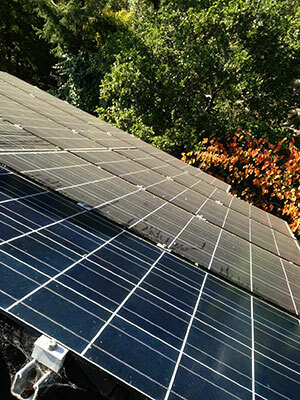 Gutters and solar panels too!